The play takes place in Georgia and follows the story of a aggressive civil war reenactor who escalates a series of mean spirited pranks with a newly arrived Detroit couple. I painted the Georgia countryside surrounding the stage to represent the environment of the civil war battlefield as another character in the story. Each scene in the play clips along quickly. 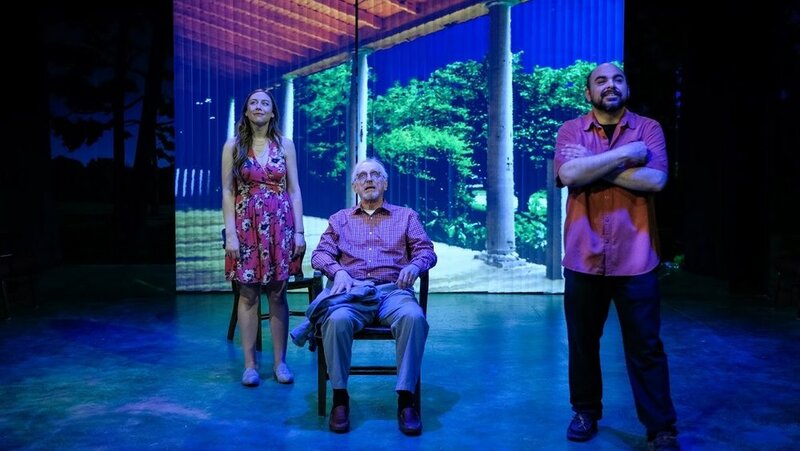 I used vertical blinds projected with my paintings of the plays locations to designate the space the characters were in.